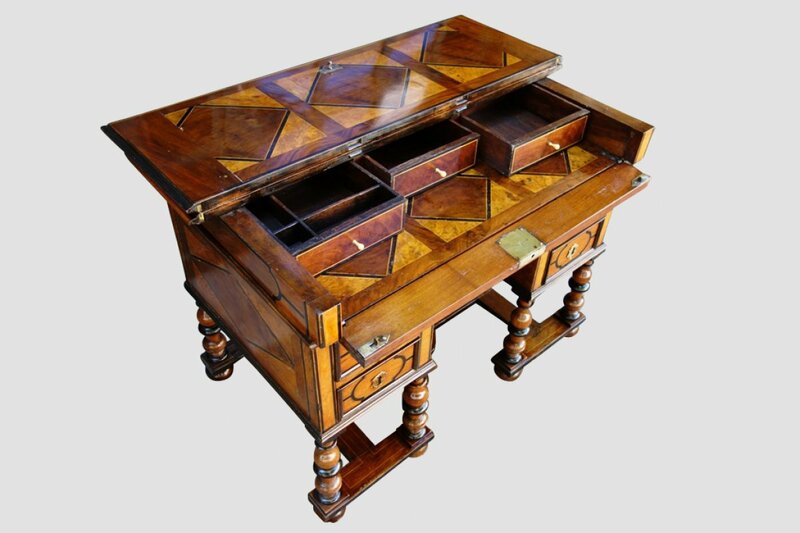 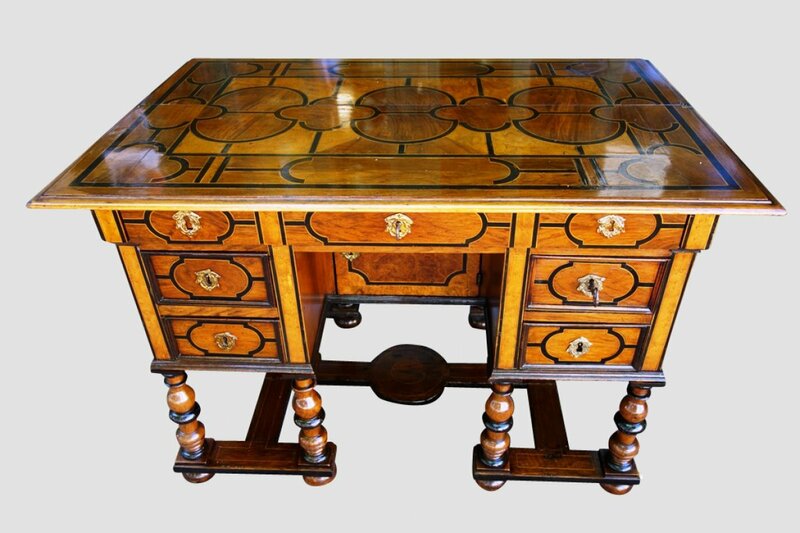 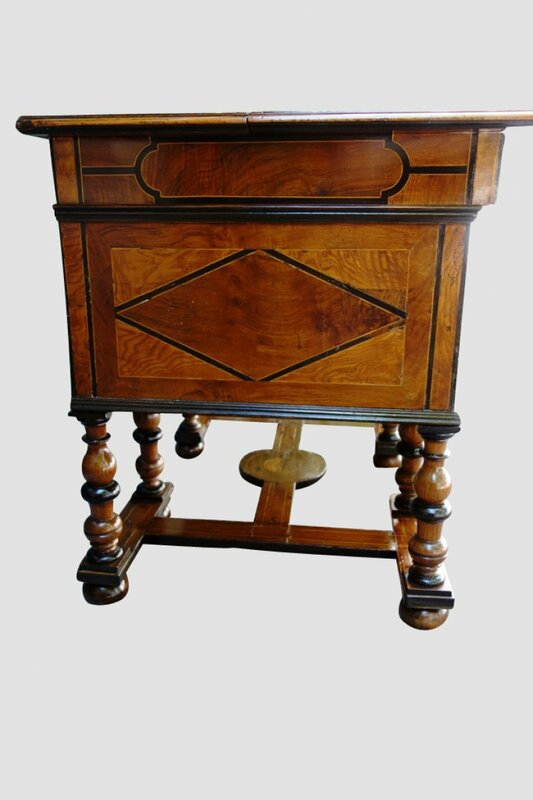 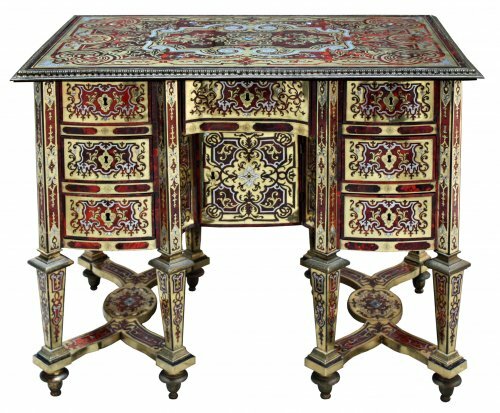 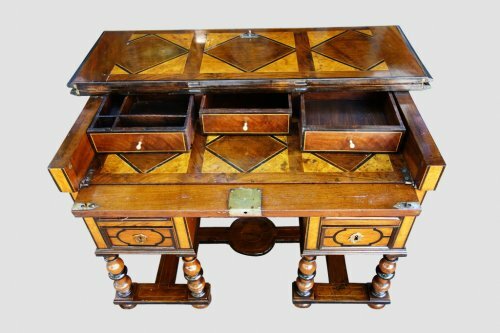 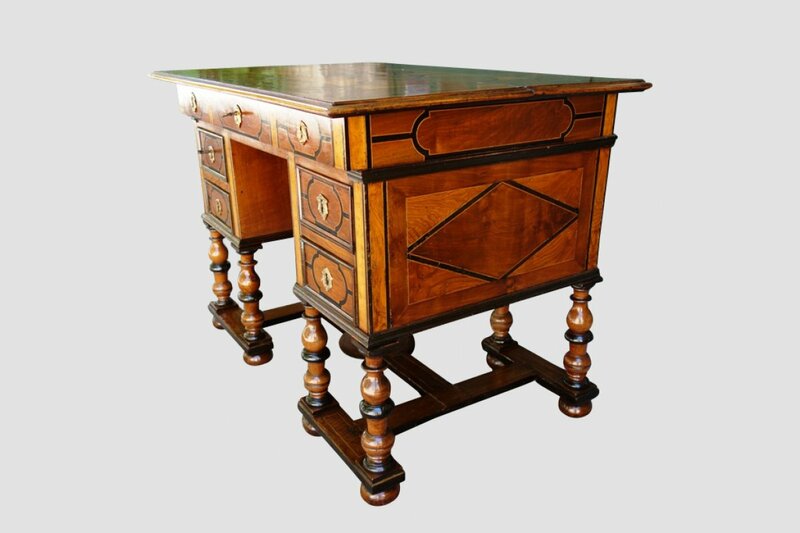 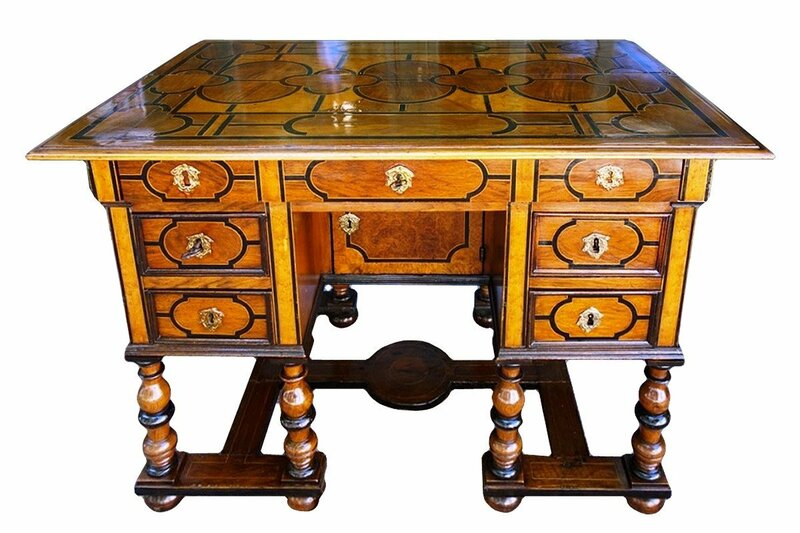 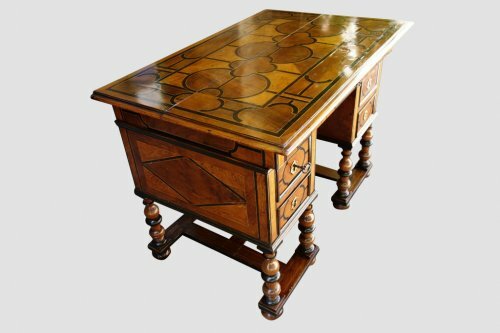 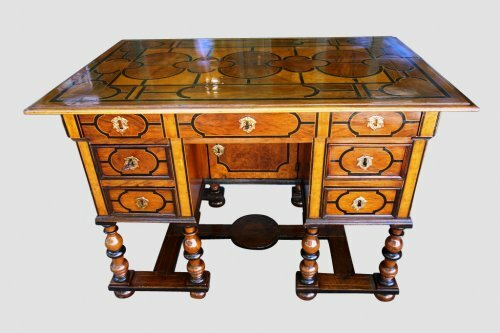 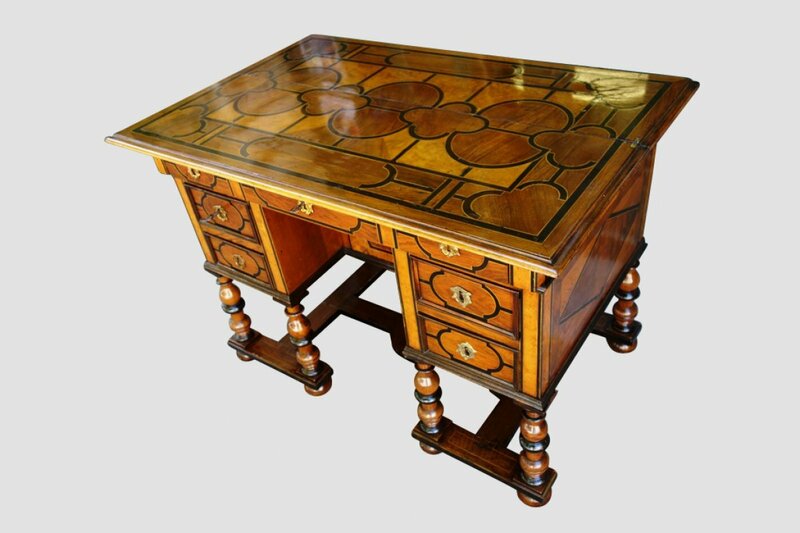 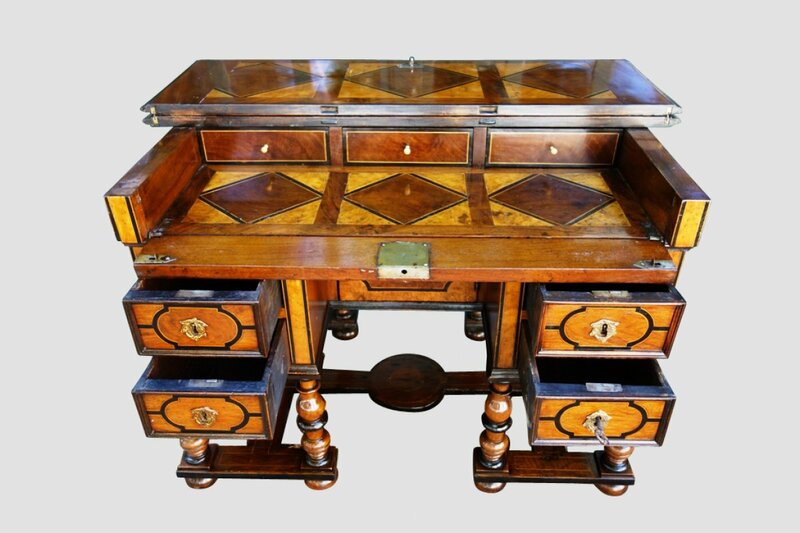 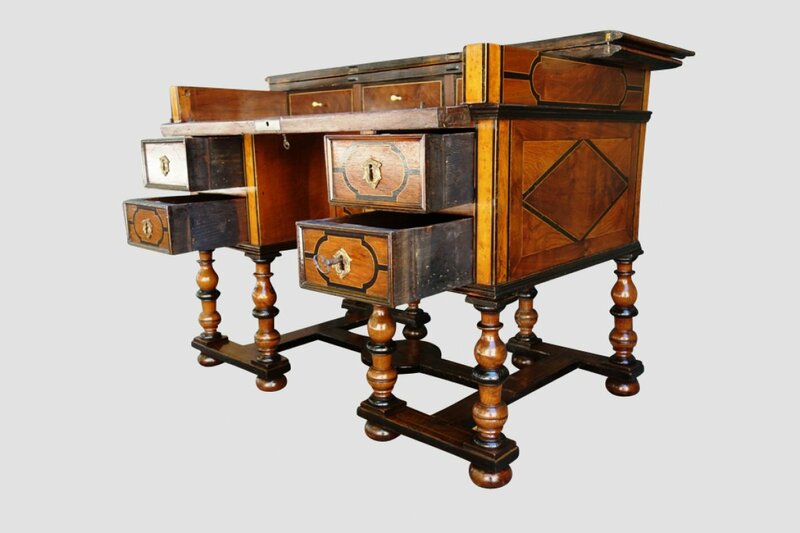 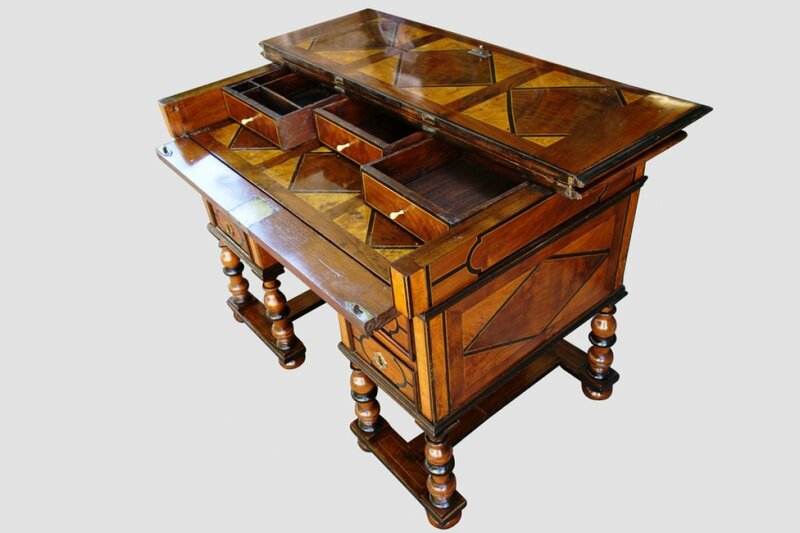 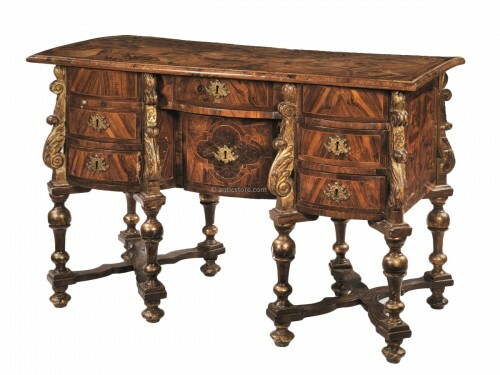 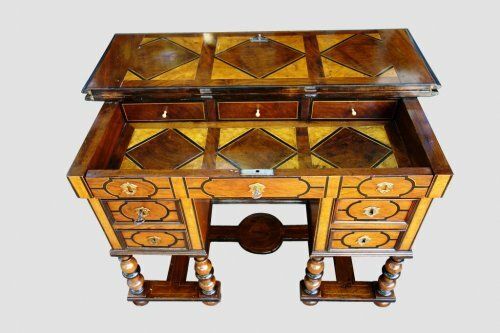 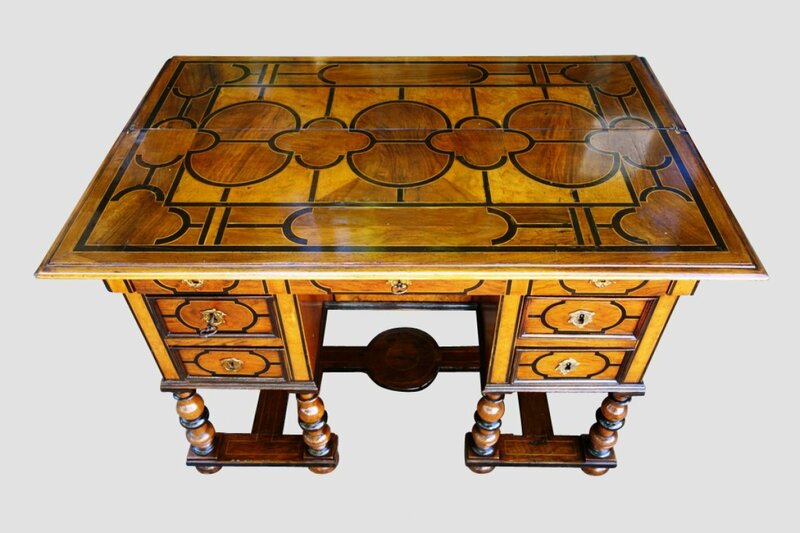 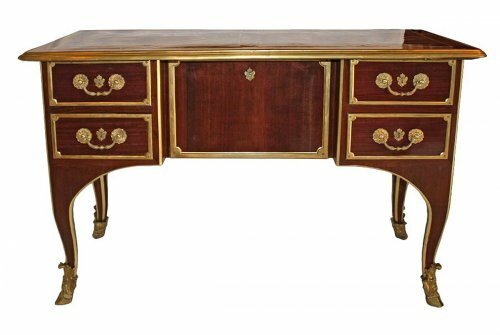 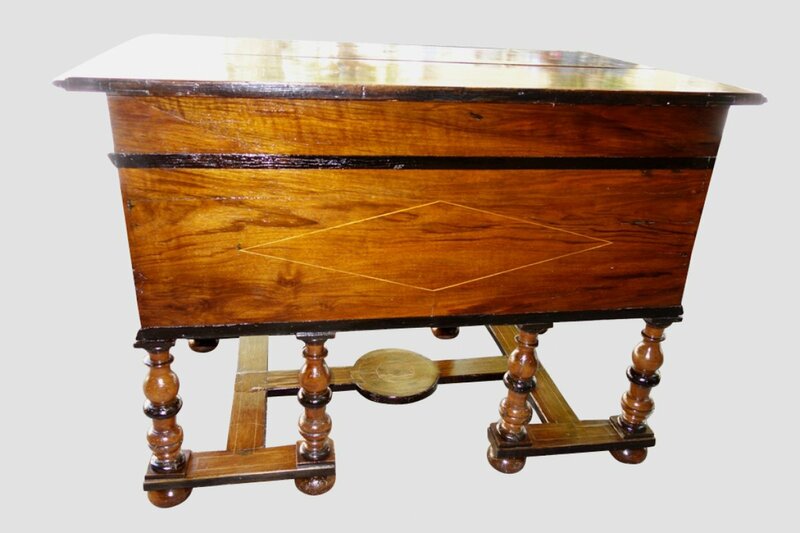 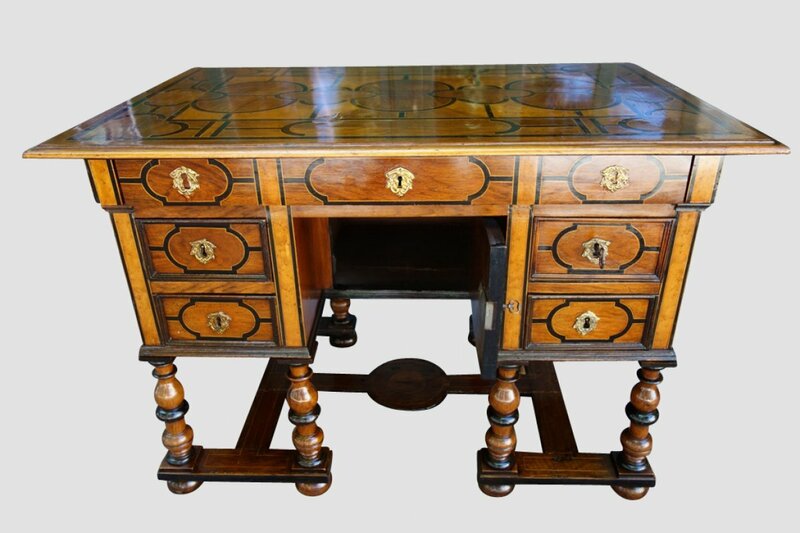 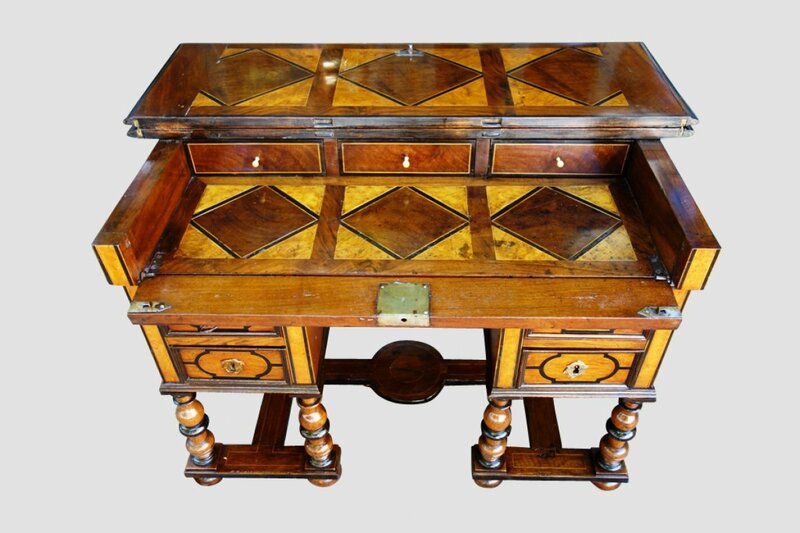 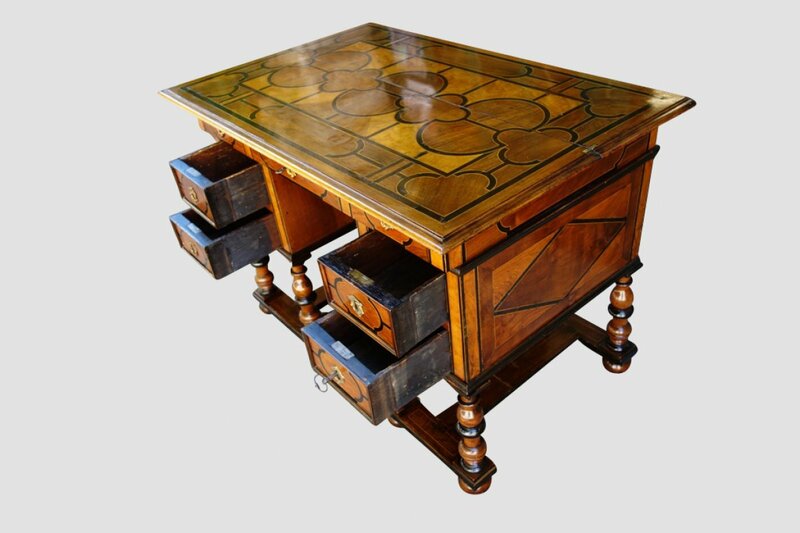 Mazarin desk with broken top composed of several essences: loupe of ash, walnut, ebony, boxwood fillets and blackened wood, drawing geometric patterns in the tradition of furniture dauphinois. It opens by a flap in wallet revealing three drawers and by four drawers and a leaf in front. 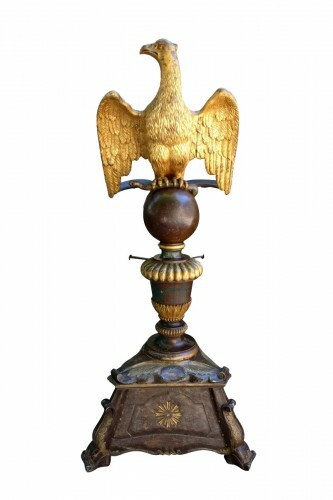 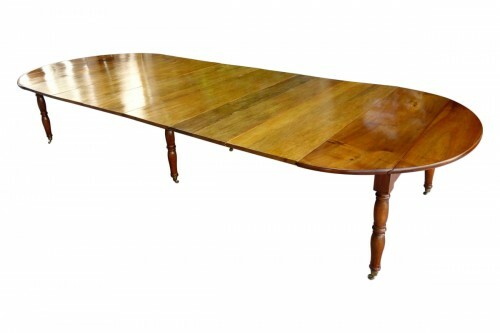 It rests on an original base, turned and connected by an H-shaped spacer. 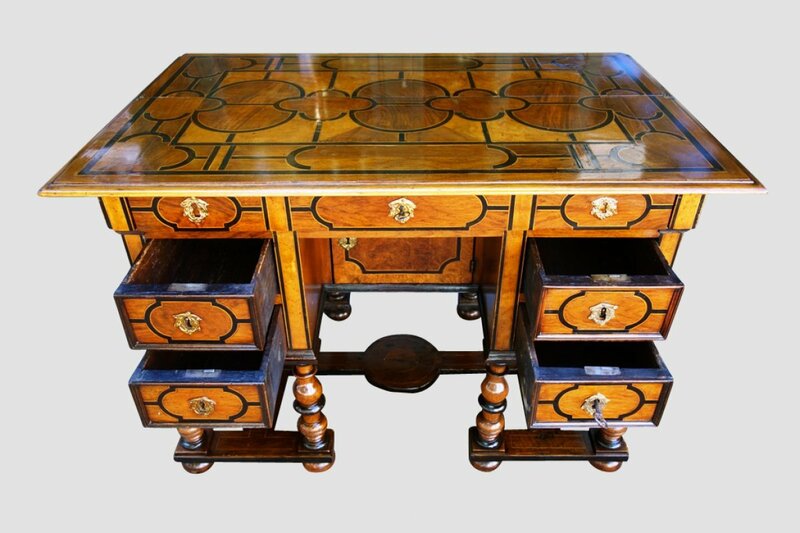 Beautiful tray with clovers and ovals, inlaid margins of diamonds. 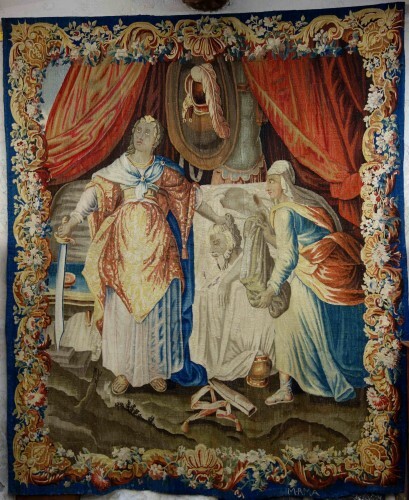 Period late 17th, in the taste of the productions of Thomas Hache.